For trips to beach locations our absolute favorite travel shoes are the FiveFingers by Vibram. In what other shoe can you comfortably swim in saltwater, hike through jungles and have that barefoot feeling while walking on a beach (without sand getting in your shoes)? As you’ve probably deduced from their distinctive look, Vibram FiveFingers are designed to impart the natural benefits of going barefoot. For more details read our post on barefoot shoes. 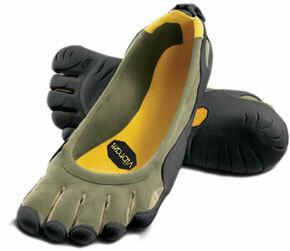 Or be content to know this: Vibram FiveFingers are very cool. 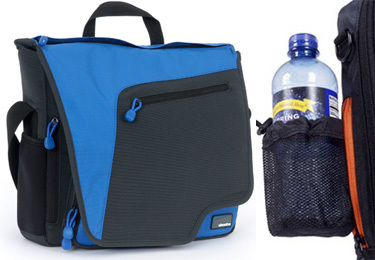 As a collection, Skooba Designs has our favorite laptop and netbook bags for travel. Besides being comfortable to carry, smartly designed and durably built, Skooba bags are relatively unknown. In fact, Spot Cool Stuff has never seen another carrying around a Skooba. There’s something satisfying about giving a cool, high design gift that the recipient is happy to get but has never previously heard of. There’s no Skooba design we dislike but their Netbook Messenger bags might be our favorites—it is made out of a waterproof nylon material and has 20 (!) pockets; thanks to a top shortcut zipper it is also the only messenger-style bag we know of that allows access to the main pocket without putting the bag down. If your gift recipient is a frequent flier check out Skooba’s various Checkthrough bags that are designed specifically to help owners speed through airport security checkpoints with a minimum of unpacking. A lot of travelers already have a laptop or netbook but few have an MID, or Mobile Internet Device—a small computer that operates via a touchscreen (instead of a keyboard). There are several MID brands and models to choose from. One of the most popular, and least expensive, is the Archos Internet Tablet. Though we are infatuated with the Archos, Spot Cool Stuff has long-term feelings of love for the Viliv Tablet PC, especially for use when travel. 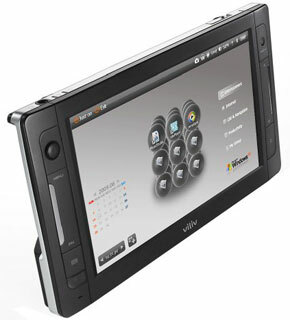 The Viliv S5 models have built-in GPS via Google, 720p HD video playback, and wi-fi built in. But the coolest part: The Viliv S5 runs a full version of Windows XP. Any program your typical desktop can download and run on XP the Viliv can run too. So, a traveler with the Viliv can run Skype, for example, and make free or near-free phone calls home. Or download a new game to while away a long plane trip. Or update a personalized online trip map or blog. Or download photos from a camera, edit them in PhotoShop, and then send them to friends in an email or as an old fashion postcard. The Viliv S5 comes in two sizes: a 4.8-inch screen with a 7 hour battery life and a 7-inch screen model that goes 5.5 hours between recharges. 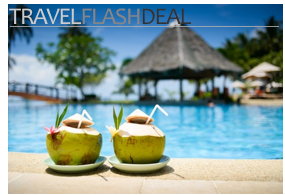 Shopping for an armchair traveler? There’s arguably no better gift than every issue of the world’s preeminent global exploration magazine—every compelling article, every stunning photograph. Giving 100+ years worth of magazines would be a rather heavy and space-consuming proposition. So National Geographic has conveniently digitalized their content on six searchable DVD-ROMs. The dics will work with nearly all Blu-ray players and with every computer that has a DVD drive (which is to say, nearly every computer). For an extra $30 or so there’s an upgraded “Personalized Deluxe Edition” available; it comes with a leather case with the gift recipient’s name engraved. An extra $140 will get you a dedicated external hard drive with the same content as the DVDs—both are available at National Geographic’s online store. 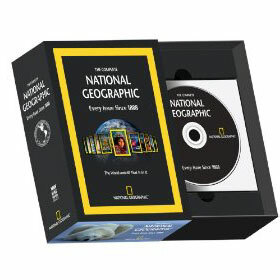 But for all but the most hard-core National Geographic fans the basic DVD set should more than suffice. THERAFIRM was kind enough to let us try out their Core-Spun travel socks. After our first airplane trip we were immediately convinced of their benefit. 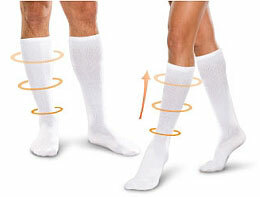 Core-Spuns are compression socks—socks that put pressure on the wearer’s lower leg. But these are not merely socks one size too small. Core-Spun socks scientifically control their pressure output. The pressure is greatest around the ankles and then gradually decreases towards the top of the sock. This system improves circulation, forcing blood from the feet and ankles upwards towards the heart. The benefit of wearing Core-Spuns is most obvious on an airplane; the socks prevent ankles from swelling up like they otherwise do on long flights. But Core-Spun socks are beneficial for long days of shopping, sightseeing, art gallery hopping or any urban travel activity that involves a lot of walking and standing. Core-Spun socks come in three compression strengths: light, mild/moderate and firm. The light version are so close to regular socks that they probably aren’t worth getting. Ourselves, we are partial to the firm socks though most of our test subjects preferred the mild. Spot Cool Stuff tends to travel with a large number of gadgets. Really, on a typical trip we probably have more electronics than clothes. And we are not alone in our travel geekiness. For the traveler on your shopping list who is equally gadget-inclined the Portable PowerMat Charging System makes for a very cool gift. Heres how it works: There’s a matte black mat (photo, above), a little less than 1 foot (30cm) long, that contains three invisible power stations. The mat folds into thirds and comes with a carry case. If a device is encased in a PowerMat Receiver then all one has to do is place it on the mat and—voilà—it will start charging. No cords needed! The iPhone, Sony PSP and BlackBerry Curve are among the products PowerMat makes receivers for. Gadgets without a receiver case can still be charged via PowerMat’s Powercube. The Powercube is a small square device that can accommodate any one of eight included adaptor tips. There are tips for both a mini and micro USB connection—these will fit some cameras and most GPS and mobile internet devises, Bluetooth headsets and Chinese-bought electronics as well cellphones made by BlackBerry, HTC, Motorola and others. There are also tips specifically designed for an Apple iPod/iPhone, Nintendo DS and DSi, a LG and Samsung cell phone and a Sony PSP. In other words, the Portable PowerMat can charge the vast majority of travel gadgets, three at a time. And do it in a cool, handy way. Priority Pass Membership – Is there a frequent flier on your gift list? If they fly economy they’ll likely fall at your feet in thanks if you get them a Priority Pass card, which let’s the bearer into airport buisiness class lounges regardless of what class they are flying. 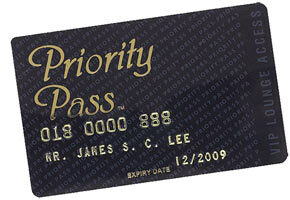 Read our full review of the Priority Pass Program here. Canon EOS-5D Mark II – If there’s someone really special on your list, someone who is into travel photography (or wants to be), get them our absolute favorite travel camera. The Bose QuietComfort 15 – These are definitely the best—and arguably the best value—noise canceling headphones. They virtually shut out all engine noise when flying on an airplane. Our full Bose QuietComfort 15 noise canceling review has further into. Maui Jim Sunglasses – There’s a pair of Maui Jim sunglasses that will make even the most style conscious person on your gift list happy. No need to tell them that these durable, lightweight sunglasses also offer superlative eye protection. 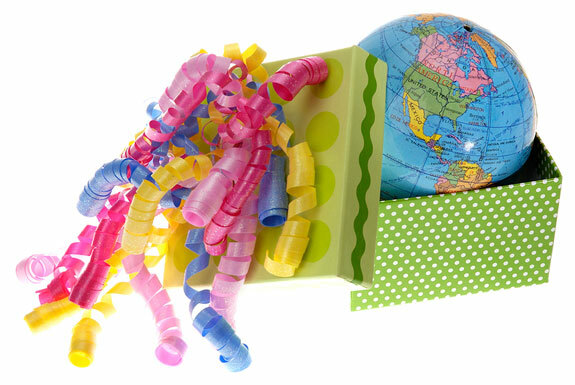 I love all of these gift ideas, as a traveler all of these are helpful. Thank you for sharing this one. Great list, though you forgot to list the travel socks which is a great help for a comfortable travel. As for me, I don’t neglect to bring extra socks when I travel and I often buy online at Legs Therapy (http://www.legstherapy.com/specialty/travel-socks.html), so others can do this also since travelling socks are great factor for a great travel.